This website and the information contained within it is for presentation purposes only and is subject to change without notice and is subject to obtaining all planning and other approvals. Illustrations, images, plans, statements, figures, calculations and representations contained in this website are depictions, impressions or estimates and are for presentation purposes only and subject to planning and other approvals. Changes may be made during the further planning and development process. Designs, dimensions, fittings, finishes, specifications, costs and other representations are subject to change without notice at any time. Whilst this website has been prepared with all reasonable care and thought, no warranty is given as to the accuracy, currency or completeness of the information contained within it and it is not intended to be relied upon in any way. Golden Age Group, their related companies and their consultants and agents accept no responsibility for any of the information contained in this website or for any action or omission taken in reliance upon it by any party including any purchaser or potential purchaser. All prospective buyers are advised to carry out their own investigations in order to satisfy themselves as to all aspects of the development and should seek independent legal and financial advice in relation to all information contained in this website. 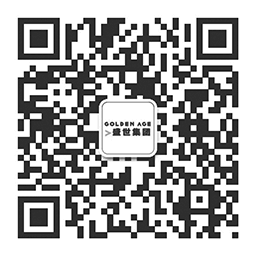 The information contained in this website is intended to be used as a guide only and does not constitute an offer, inducement, representation, warranty or contract or form part of the of the terms and conditions of sale of any product of Golden Age Group. If a contract of sale is entered into, purchasers will acknowledge that nothing in this website has been relied upon and that the contract of sale contains the only representations upon which the purchaser relies.